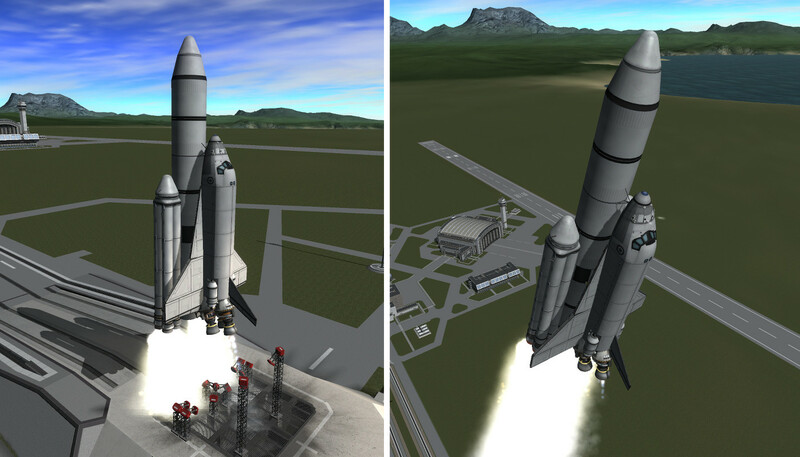 My 100% Stock Space Shuttle replica. It has a generous payload capacity, upwards of 32tonnes (not quite enough for a Big Orange Tank), and launches much like the real thing did. To launch with heavier payloads you will need to change which section of the external fuel tank fuel is being drawn from. There are three cubic struts on the bottom of the tank with fuel lines connected to them. By default the upper one feeds the SSMEs. Launching with a moderate payload will require drawing from the middle of the three. A heavy payload requires drawing from the bottom tank. Ascent is the most difficult part of the flight, and throttle management is necessary for maintaining proper balance. A basic ascent program is detailed in the craft file’s description, as well as a record of the Action Groups. 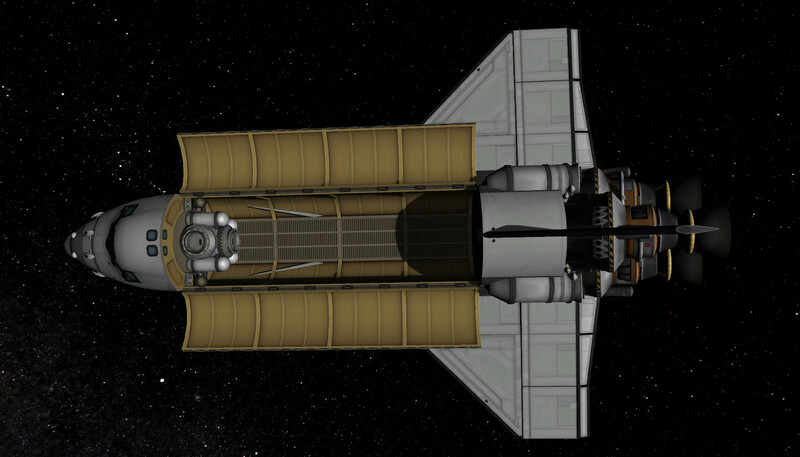 There is a probe core attached at the front of the cargo bay angled to 15 degrees, controlling the craft from that is advised, as the angle of thrust is offset 15 degrees from normal. Yes, there are a few reaction wheels tucked in the SRBs and external tank. Give me 100% stock SSMEs and those can go away. The SRBs are timed to burn out in a staggered pattern. 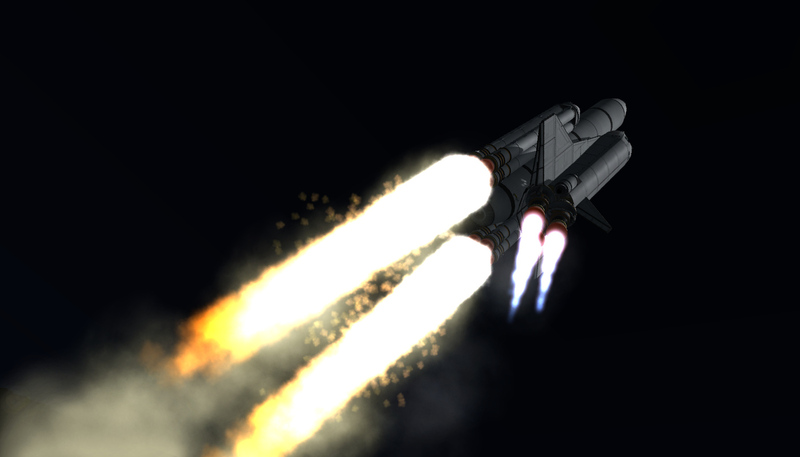 Heavier payloads will require more SRB thrust. Adjust accordingly. The main fuel tank of the Orbiter is disabled on ascent. You’ll need to enable the tank once the external fuel tank has been jettisoned. This craft makes heavy use of the vernor engines for ascent RCS, those can be disabled once in orbit using Action Group 6. 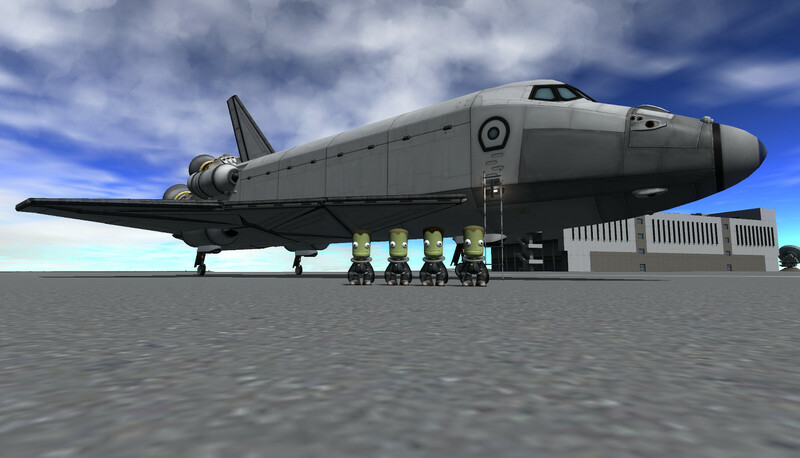 Monoprop supplies in the cargo bay and main crew cabin are disabled, and will also need to be enabled once in orbit.